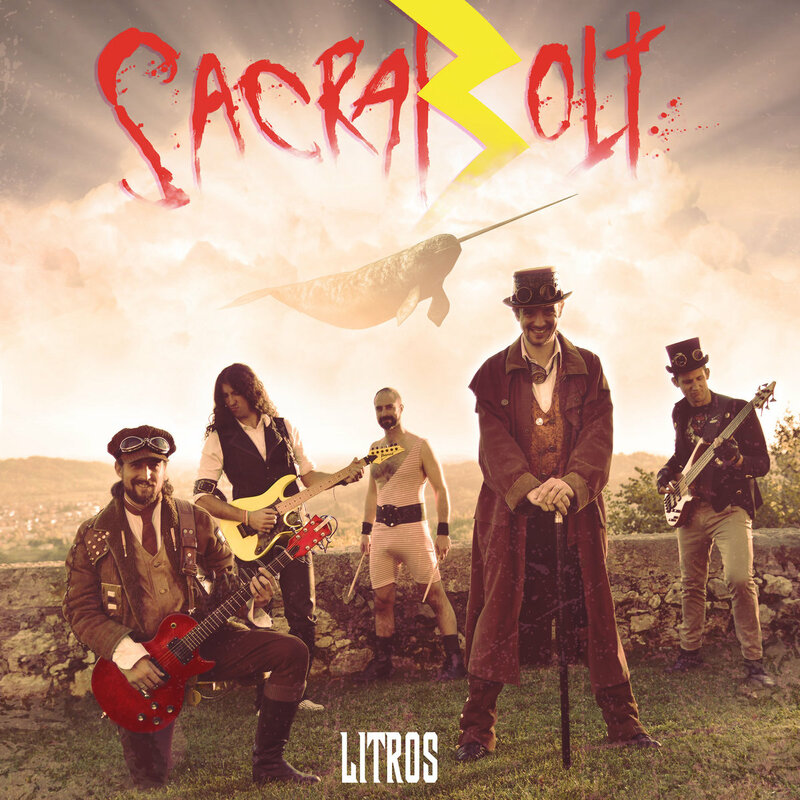 As far as underground rock bands go, Sacrabolt from Italy, are impressively open and outgoing. They interact with fans regularly on their social media, and also maintain a surprisingly intimate blog on their website which details countless personal experiences, ranging from the first time they saw Foo Fighters perform to the time they tried a drink called “Sexytudine”. On the band’s full length debut Litros, the band open themselves further to the world, revealing their love for beer and rock ‘n’ roll in all its glory. Litros is an album obsessed with 70s rock music. Within a few minutes into the album, one can confidently deduce that the band has listened to a lot of Tom Petty, Thin Lizzy and KISS. The record is studded with blazing guitar riffs, which make for some of its best moments, like the one we find near the end of 3 AM. The hooks, on the other hand, possess a sing-along quality, and every now and then, we’re punched in the gut with a mean, scorching guitar solo like the one on One Hour Sleep. But none of this prevents Litros from venturing into quirkier territories. Querena, for example, is heavily influenced by reggae music, while Regrr recalls the ecstatic drama of System of a Down. Favorite Track: One Hour Sleep, 3 AM.